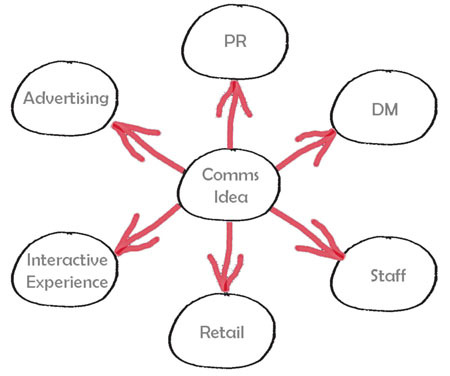 A single idea or thought is spread across the different touchpoints. This is believed to be more effective as the same idea is represented in various media, which reinforces the impact on the consumer. 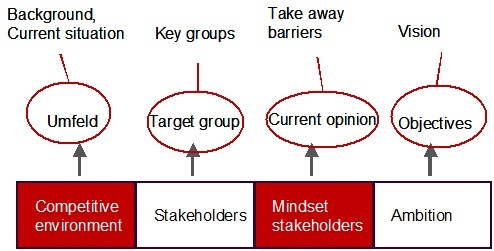 This is illustrated in the media neutral planning model. The main question here is ‘what is the right media mix?’. Transmedia narrative – a story that unfolds across different platforms. Question here is ‘how do we create fans who talk and share their experiences with their friends and social networks’? The model underneath illustrates that thought. 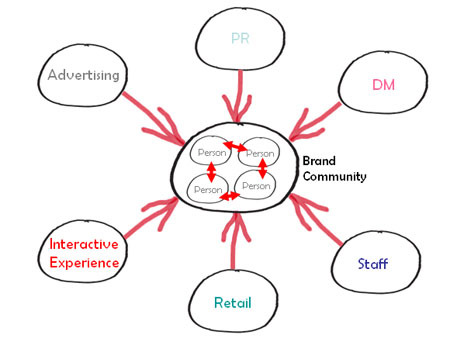 Although the consumer experiences the brand narrative in a non-linear way, as a planner you still need to know (in a linear way) what to communicate when and how. That is the challenge. 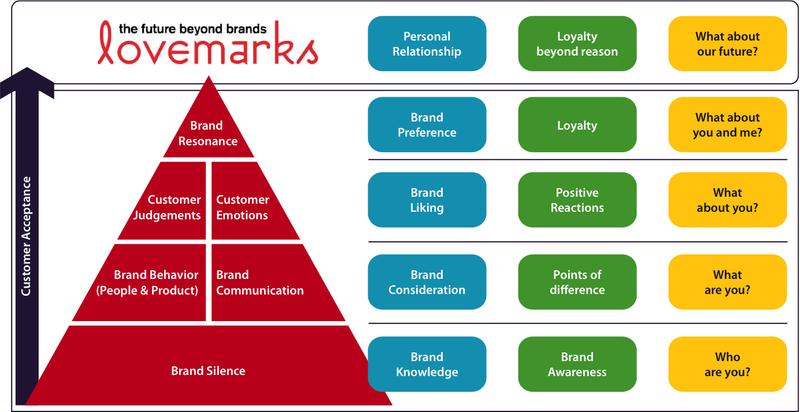 A framework showing how to connect a brand with its target audience through the communication and support of a shared thought (a compelling and relevant idea). 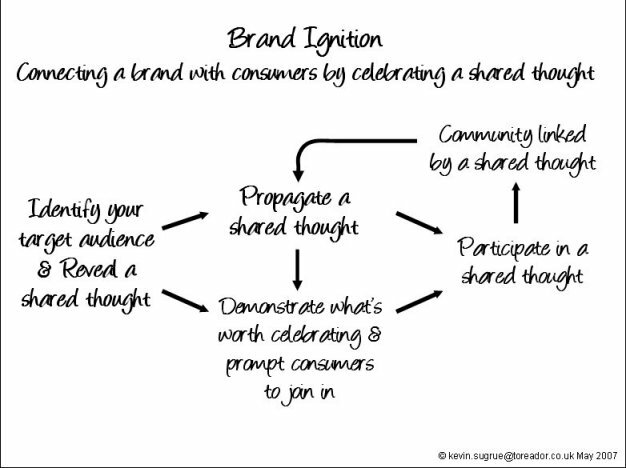 The shared thought is the cause for mutual celebration, relating to an idea close to the hearts of the audience and demonstrated through the actions of the brand.